It is a one of a kind in size small. This coat measures 10.5 inches along the back. The collar line is about 12 - 13 inches around. The girth is about 19 inches. See accompanying image for how to measure. 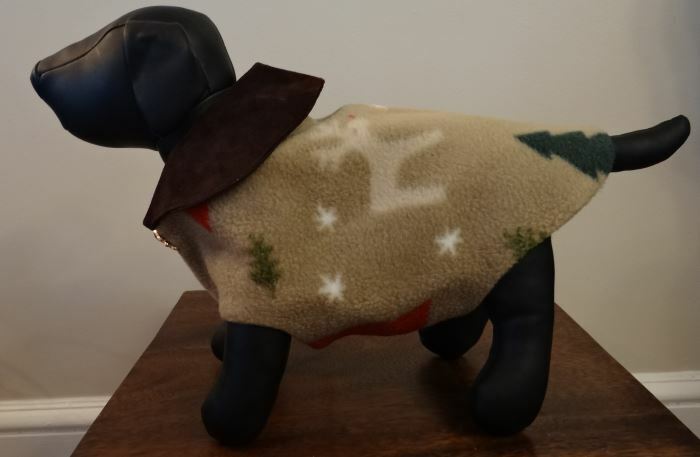 No one else will have this coat in a size small because the Bark Avenue Dog Originals specialize in only one style being designed per size. 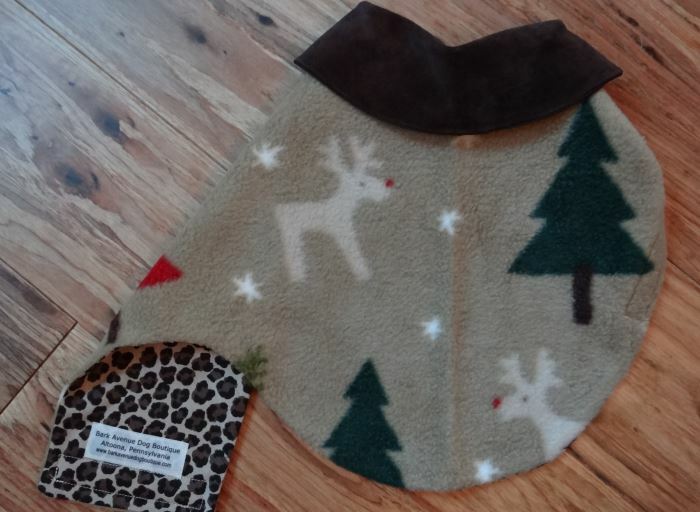 This is a great coat to keep your little puppy warm over the winter and holiday season. 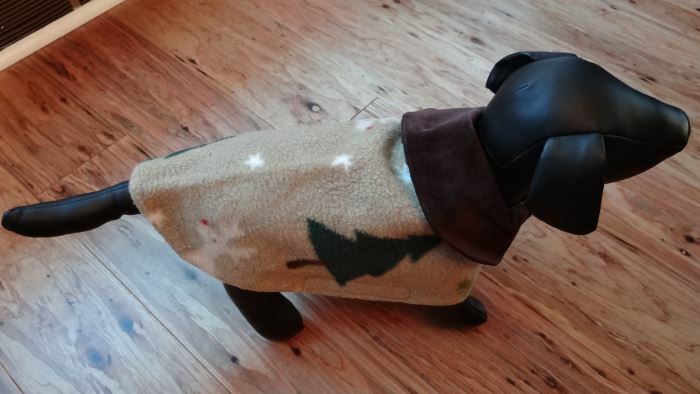 Made of a beige polyester holiday fleece which features Rudolph the red nosed reindeer, a red and a green Christmas tree, pine branches and snowflakes. 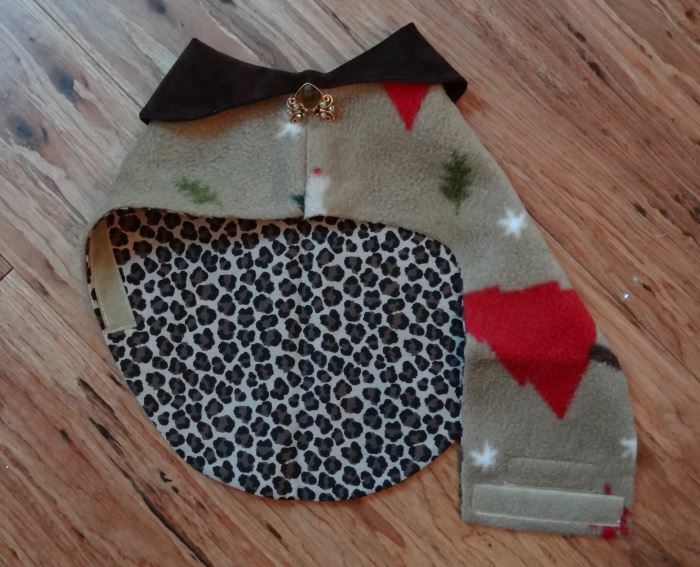 The Christmas Holiday Fleece Dog Coat is fully lined with a cotton leopard fabric. 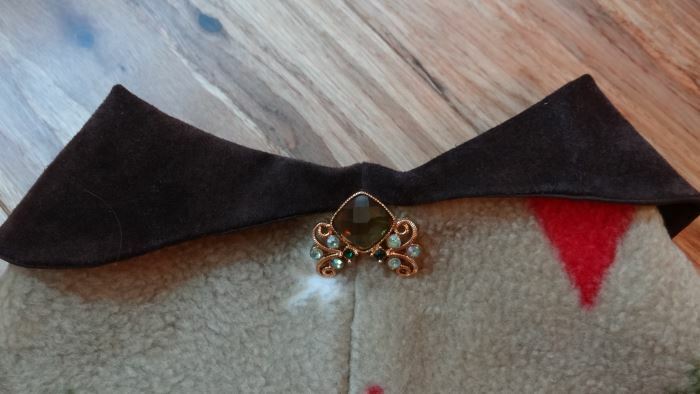 The collar is dark brown suede which is lined with a dark brown polyester fabric. The coat slides over the puppy's head and velcros under the tummy. 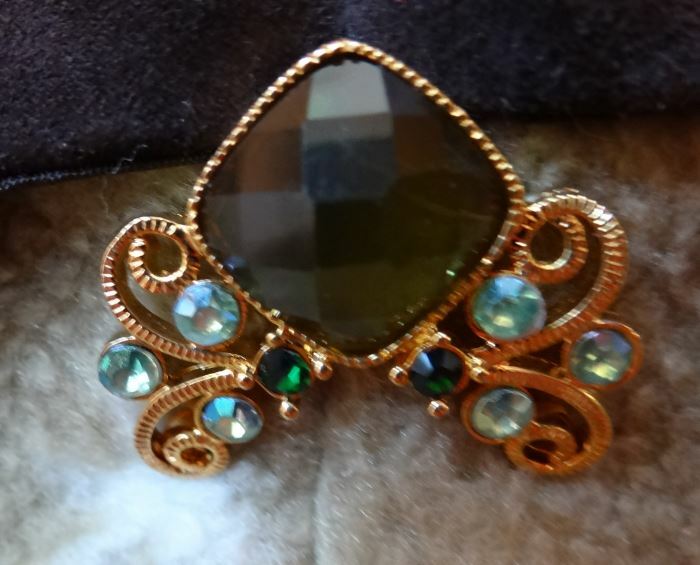 There is a broach at the throat with a large green rhinestone, gold metal scroll work with small shades of green rhinestones. 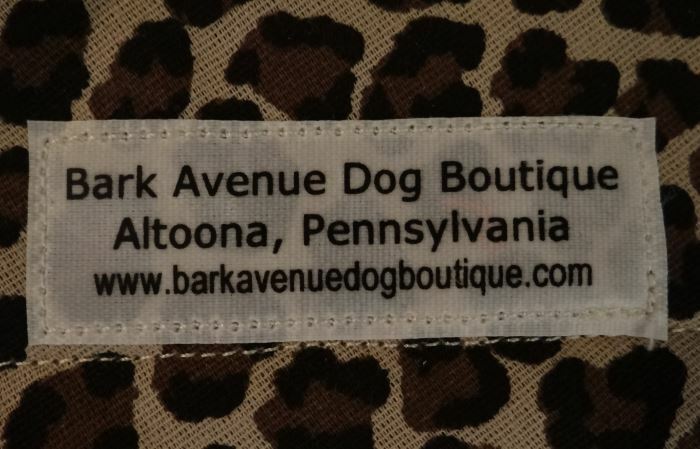 An attached Bark Avenue Dog Boutique tag is sewn on the inside.